Gary Anderson scraped home against Chris Dobey last night in a thrilling clash at the William Hill World Darts Championship, which saw my best bet of Dobey +2.5 sets on the handicap cruise home as he stormed into a 2-0 lead against the two-times world champion Anderson. 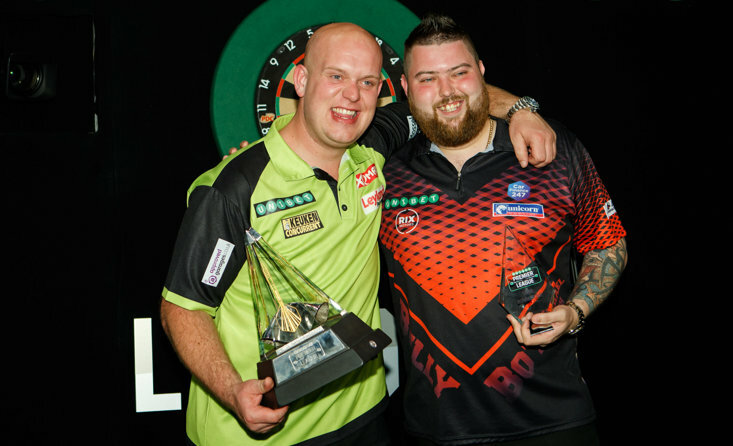 However, Anderson managed to find a way to win and along with Michael van Gerwen (beat Adrian Lewis 4-1) booked their spots in the quarter-finals. Now, it's time to try and decipher the remaining six fourth round clashes that light up the Alexandra Palace today and we should be served up some real treats on the oche. I don't know how Devon Petersen is doing what he is doing. I have gone against the South African in the last couple of rounds, but he continues to find a way to win with some excellent finishing. Petersen oozes self-confidence, but the statistics show he is performing above his usual as it's the first time since February 2016 that he has averaged 90+ in three games on the bounce. However, Nathan Aspinall is playing beyond expectations and I just feel his level is superior to that of Petersen's, so it could finally be the time Petersen's Ally Pally run comes to an end and I expect Aspinall to win 4-2 or 4-3. Benito van de Pas is another eclipsing my expectations, but his inconsistencies could see him falter against Brendan Dolan in the second match of the day. van de Pas is not someone you can rely on as he can knock in a sparkling 11-dart leg, but then follow it with a 22-dart leg, so it's hard to see the experienced Dolan losing on Friday. Dolan can grind this tie out, as while he may not be playing at his best he has shown on the tour that he is in decent form as he has reached a few quarter-finals this season, and I feel he can cover the -1.5 on the handicap in this clash. DOLAN WINS | The History Maker knocks out Merv King 4-2. How far can Brendan go this year...? I am a big fan of Ryan Joyce and he has been nerveless during this year's William Hill World Darts Championship. 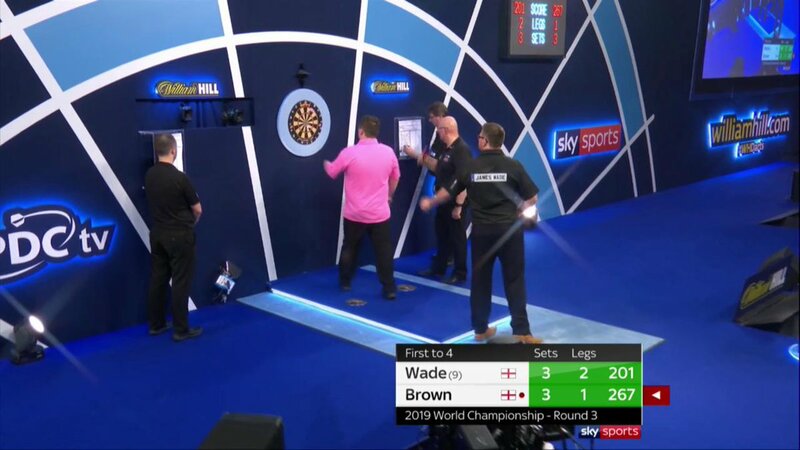 However, this could be the game that sees him get 'Waded' as James Wade is likely to do what James Wade does and average a point higher than Joyce and I think Wade can progress with a 4-2 or 4-3 victory. Both players are massive finishers, but Wade told me the other day he feels he is "the best finisher of the game" and it's hard to argue with him on that point as he produced some fine finishes against Keegan Brown earlier in the tournament, and he can set up a quarter-final clash with Michael van Gerwen. Ryan Searle is looking forward to play Michael Smith in the opening match this evening as he feels Smith's pace of play will allow him to produce his best darts. But, Smith showed when beating John Henderson yesterday that he is playing well at this year's showpiece and I just feel 'Bully Boy' could blow Searle away. Searle will need to raise his game to put pressure on Smith, but the 28-year-old is one of the best players in the world and he can cruise to a 4-0 or 4-1 victory tonight and set up a last-eight clash with either Rob Cross or Luke Humphries. This game could have a million 180's! We were treated to 28 maximums in last night's epic Anderson v Dobey clash, but both Jamie Lewis and Dave Chisnall are huge scorers and they are set to amass a huge amount of 180's this evening. William Hill are offering over/under 15.5 180's in the handicap market, so it's definitely the overs that is worth getting stuck into. Lewis reached the semi-final last year, but I feel he isn't playing to that level this year, so while he can live with Chizzy's scoring, Chisnall has been great on checkouts this tournament, as he showed with some fine finishes against Kim Huybrechts in round three, so while Lewis appears to be a man possessed on the Ally Pally stage it's Chisnall that can progress. I am a huge fan of Luke Humphries and he will be one of the next big things in world darts, but Rob Cross is just playing on a different level at the moment, so it's hard to see anything but a Cross victory. Jeffrey de Zwaan and Cristo Reyes fired in some nice stuff against Cross earlier in the tournament, but reigning champion Cross handled what was thrown at him with aplomb, and I feel he can just dominate this evening's final game and run out a comfortable 4-1 winner. Humphries has done fantastically to get this far, but he mentioned to me yesterday that he is suffering from a slight arm niggle, but while he doesn't feel it will hinder him tonight it must be a concern and this could be the end of the road for him today. The hugely popular Perfect Treble game continues tonight with the game selected being Jamie Lewis v Dave Chisnall. 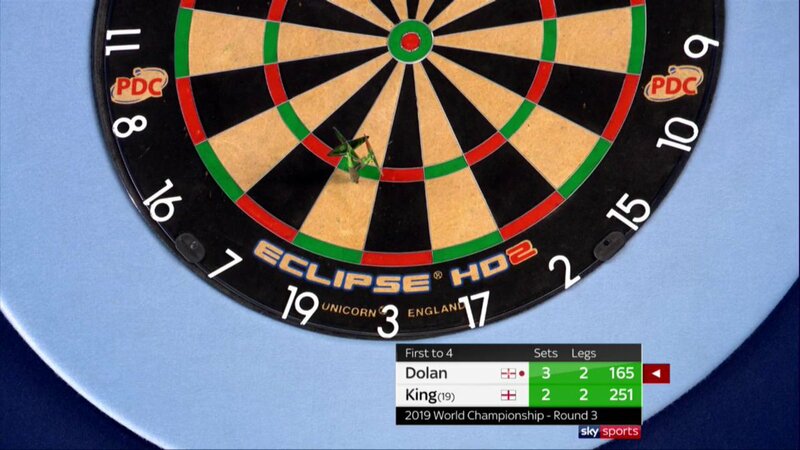 All you have to do is select the correct scoreline, who will hit the most 180s and the highest checkout in the match. It's a free to enter game, where you can win £180 or a share of that prize, if you correctly pick the three outcomes.